Eucalyptus Smithii Essential Oil, Wild Crafted, Unrectified, Australia has the penetrating aroma common to eucalyptus globulus. In fact, in some distillations the eucalyptol content is actually higher in smithii. Of course preference of odor is a matter of individual taste. However, the smithii variety has lasting cleaner notes that are preferable in soaps. Eucalyptus smithii, or gully gum, is a native tree of northern Victoria and southern New South Wales, Australia. In its natural situation it occurs on the lower slopes, gullies, and swamps - where soils do not dry out. The species is widely grown in southern Africa for the production of distilled eucalyptus oil from the leaves. The oil is high in cineole (75-84%). Eucalyptus smithii also shows some promise in the pulpwood industry. Traditional Use: Eucalyptus oil is the generic name for distilled oil from Eucalyptus, a genus of the plant family Myrtaceae native to Australia and cultivated worldwide. Eucalyptus oil has a history of wide application, as a pharmaceutical, antiseptic, repellent, flavoring, fragrance and industrial uses. Medicinal and antiseptic: The cineole-based oil is used as component in pharmaceutical preparations to relieve the symptoms of influenza and colds, in products like cough sweets, lozenges, and inhalants. Eucalyptus oil has antibacterial effects on pathogenic bacteria in the respiratory tract. Inhaled eucalyptus oil vapor is a decongestant and treatment for bronchitis.Cineole controls airway mucus hypersecretion and asthma via anti-inflammatory cytokine inhibition. Eucalyptus oil also stimulates immune system response by affects on the phagocytic ability of human monocyte derived macrophages.Eucalyptus oil also has anti-inflammatory and analgesic qualities as a topically applied liniment ingredient. Eucalyptus oil is also used in personal hygiene products for antimicrobial properties in dental care and soaps. It can also be applied to wounds to prevent infection. Repellent and biopesticide: The cineole based oils can also be used as an insect repellent and biopesticide. Eucalyptus oil has been used as an effective way of killing dust mites according to the Asthma Foundation of Victoria. Flavoring Eucalyptus: oil is used in flavoring. Cineole based eucalyptus oil is used as a flavoring at low levels (0.002%) in various products, including baked goods, confectionery, meat products and beverages. Non-cineole peppermint gum, strawberry gum and lemon ironbark are also used as flavoring. Fragrance: Eucalyptus smithii oil is also used as a fragrance component to impart a fresh and clean aroma in soaps, detergents, lotions and perfumes. Industrial: Phellandrene and piperitone based eucalyptus oils have been used in mining to separate metallic sulphides via flotation. Research shows that cineole based eucalyptus oil (5% of mixture) prevents the separation problem with ethanol and petrol fuel blends. Eucalyptus oil also has a respectable octane rating and can be used as a fuel in its own right. However, production costs are currently too high to be economically viable as a fuel. Blends well with: Pine, thyme, lavender, rosemary, marjoram, cedarwood and lemon essential oils. Aromatic Scent: Characteristic camphoraceous aroma. History: Eucalyptus essential oil has long been used in homes in Australia. In Spain, the timber of Eucalyptus was used in construction Cautions: Eucalyptus should be used in dilution (1:1), and avoided during pregnancy. 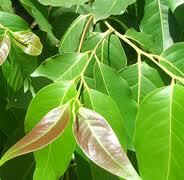 Common Uses: Lumbago, rheumatism, diabetes, headache, migraine, bronchitis, asthma, coughs, flu, colds, sinusitis. GENERAL SAFETY INFORMATION: Caution should be taken when using Essential Oils. Do not use any oils without consultation from a qualified aroma therapy practitioner. All Essential Oils should be kept out of the reach of children.